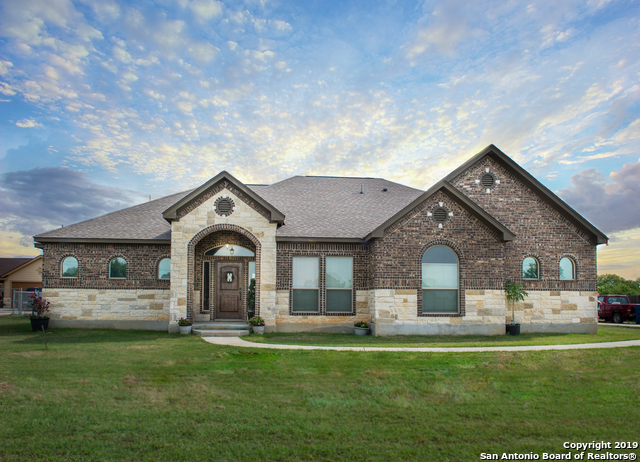 All CORLEY SUBD homes currently listed for sale in San Antonio as of 04/18/2019 are shown below. You can change the search criteria at any time by pressing the 'Change Search' button below. "A little piece of Heaven just mins away from San Antonio! This GORGEOUS HOME has a beautiful entry that opens up to the Dinning room and Kitchen with Breakfast bar, stone accent and Granite counter tops, Tray ceilings and much more. GREAT Master bedroom with a Master bathroom you must see the custom shower! 3 other Bedroom and 2 more full Bathrooms. Lots of windows to admire that covered patio and the backyard - perfect for the family BBQs on 1.22 acres, with NO HOA. Don't miss this home."